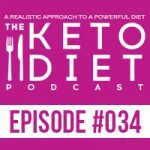 Leanne Vogel: You’re listening to episode number 34 of The Keto Diet podcast. Today we’re chatting about overcoming addictive behavior, notes on your previous self and what you would say to your previous self, and a pretty empowering message on that. Never giving up, and how to adjust your ketogenic diet, and knowing that you’re okay to do so, and tools for mental health and consciousness during a binge. So, stay tuned. 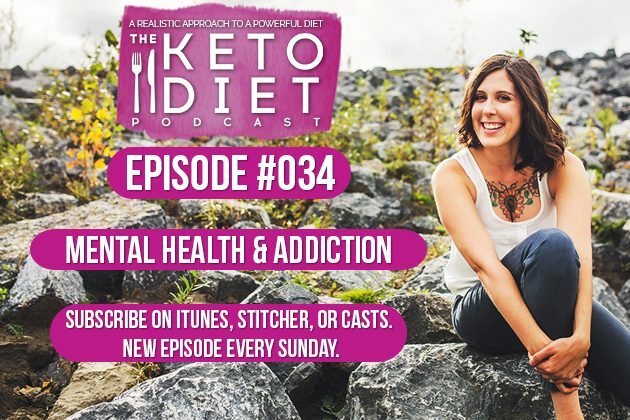 Hey, I’m Leanne from healthfulpursuit.com, and this is The Keto Diet podcast, where we’re busting through the restrictive mentality of a traditional ketogenic diet to uncover the life you crave. What’s keto? Keto is a low-carb, high-fat diet where we’re switching from a sugar-burning state to becoming fat-burning machines. A little thank you for all of the podcast listeners and supporters. I met many of you on the book tour, and I’m so thankful for each and every single one of you. If you’re in need of a little boost of keto support, I’ve created a special offer exclusive to podcast listeners only. Use the coupon code LOVE on healthfulpursuit.com/shop and receive 15% off anything your little heart desires. From weekly keto meal plans with balanced keto, to my epic pack of keto resources with The Keto Bundle. Again, that’s LOVE for 15% off at healthfulpursuit.com/shop. The offer will be valid until June 11, 2017. Let’s get this party started. Hey, guys. I hope you’re having a wonderful Sunday. The show notes and full transcript for today’s episode can be found at healthfulpursuit.com/podcast/e34. The transcript is added to the post three to five days following the initial air date of this episode. Let’s hear from one of our awesome partners. I love being Canadian. The home of the true north, strong and free. But gosh, I’m pretty jealous of you all in the U.S., because you get access to Thrive Market while I’m stuck with limited access to the abundance of health foods that you all know and love. We have 14-day shipping, and everything is really expensive, and forget about free shipping. That’s always out of the question. For all of my pals south of the border, my friends at Thrive Market are offering you 35% off your first box of groceries, plus free shipping and a 30-day trial, so you can re-order your favorites a couple of weeks down the road. Imagine, spending only $9.95 as opposed to the $20.99 on raw cacao powder. Or, $15.65 as opposed to $24.99 on MCT oil if you go to a retail store. So, on top of their everyday wholesale prices, the extra 35% off your first box of organic and non-GMO products, plus free shipping, is going to make a regular, $100 grocery run into about a $50, maybe $75 Thrive Market order for the same amount of things. You can go to thrivemarket.com/hp to get your instant 35% off. This offer will expire in a couple of weeks. So, if you’re on the fence about it, the time is now. Again, that’s thrivemarket.com/hp to get your instant 35% off, and this offer is available to new Thrive Market customers only and people in the U.S. Wah, wah. 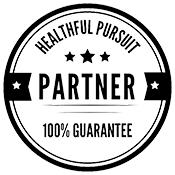 If you have an idea for a podcast episode, or want to submit praise over and above the review, which you can leave by going to healthfulpursuit.com/review, you can reach me by emailing info@ketodietpodcast.com. Today’s guest, her name is Sung Yun Cho. She’s an actress who starred in Broadway, and has acted in various productions in reputable theaters across the U.S., as well as in TV and film. She has also worked in the garment business for well over a decade. Over the past few years, Sung has struggled through health issues, and was able to recover through food and a new way of living. Through her love for cooking and food, and her newfound awareness of nutrition, she has started on her journey to raise awareness and help others heal. She recently launched her blog, Clean Food Long Life, and is attending Nutritional Therapy Association to become a nutritional therapy practitioner. Sung talks all about just the mental space that she was in before she was really hit with a pretty intense health scare, and how she dealt with it coming out of addiction and mental unbalance, and really focusing on her mental health while overcoming a pretty intense health issue. Sung’s story is so powerful, and she has a lot of things to say to people that may be struggling with mental health, and depression, and things like that. Without further ado, let’s cut over to this interview. Hey, Sung, how’s it going? Sung Yun Cho: Hi, Leanne. Pretty good. I’m so excited to be on here. Leanne Vogel: Yeah. Thanks so much for agreeing to be on the podcast and chat about your experience on keto. Leanne Vogel: For people that may not be familiar with you, why don’t you start off by telling us a little bit about how you found keto… why you’re here. Sung Yun Cho: Okay. Well. It’s a long journey into me getting healthy. A few years back, in 2011, I had to stop drinking alcohol, because I was drinking excessively. About a year into not drinking, I went to Montauk and I was running in the dunes, and I got bit by a tick. I ended up coming down with Rocky Mountain spotted fever, which is a tick-borne infection disease. If it’s not treated within a couple of weeks, you can die. It’s a fatal thing. It’s like Lyme’s disease, but it’s fatal. 10 days after my trip to Montauk, I got all these bumps that started happening around my ankles. Over the next couple of days, it just kept growing. They had little halos around them. I was freaking out. I’m an actress, so I had something to shoot that Saturday, and I found one on my face, so I was mortified. I ended up going to a clinic in New York City. That’s where I’m from. I went on antibiotic treatment for about a month, which totally wiped me out. After that I came down with chronic fatigue. I couldn’t get out of bed. Then I would get respiratory infections, and bronchitis, and coming down with colds for the next nine months. It was debilitating. I couldn’t do anything. I couldn’t work. I was in bed most of the time. I was so frustrated. I didn’t know what to do. A friend of mine connected me to this woman who had Lyme’s disease for several years and didn’t know about it. I just spoke to her. Mind you, I had gone online, researching my condition, and I found all these other people who were treated for Rocky Mountain with the same problems as me. They had chronic fatigue, they could barely do anything, and they were in bed a lot. This went on for years for many of them. Nobody seemed to have any solution to that. So, I talked to this woman. She was like, “You sound like you’re dealing with this Rocky Mountain thing.” Oh, and another thing I have to add is that I was going to my internist after I got treated for this with that round of antibiotics, and he had done a follow-up to just test me if I still had it or not, and in my blood work it came back negative. He told me I never had Rocky Mountain, and that it was a false positive. I was so upset by that, because I had taken a month of antibiotics. I was like, “What were those bumps on my legs?” He was like, “I don’t know. But here’s more antibiotics.” That’s how he kept treating me when I would come down with respiratory infections and bronchitis, which is the right protocol, but that just made me worse. After speaking with this woman, and I relate to her that I had a false positive, and I don’t even know if I really had Rocky Mountain. She said, “Well, I’m going to connect you to a doctor. A naturopath in the city. Let me get back to you. She did some research, spoke to some friends, and they connected me to the Morrison Center in New York City. I went there, and they took my blood and they sent it to a special place in Long Island, Stony Brook Medical Center, that actually tests for infectious disease. Sure enough, I had the antibodies. So I definitely had it. Then my naturopath tested me for candida, because I had all the symptoms of candida. It turns out I had that, too. Her prescription to me was 90 days of no gluten, dairy, sugar, grains, and then gave me some supplements and stuff to take care of candida. I just started doing that, and within a month I was able to jump out of bed. Everything changed. I stopped getting sick. I no longer have respiratory infections, or bronchitis, or anything like that. That was, what, in 2013 that I went through this. To me, I was just dumbfounded how food was my solution. Just whole foods, and eating well. During that process … I’ve been battling depression most of my life, and also with PMS. Once a month I would want to kill myself. It would get that dark. That’s what PMS led me to. While doing this, I realized that my PMS went away, and I stopped getting depressed. I never even knew that I was getting my period, too, when it would come. I knew that eating this way was the right thing, and it balanced my hormone levels. Over the next couple of years, I intermittently played with eating gluten and sugar. When I did, I would totally fall off and just binge on it for like a month. Then I would go back to being depressed, and feeling suicidal and hopeless. Sometimes I would get sick again. A cold would come on after binging on sugar and gluten. I started doing that. But, you know, life happens, and it’s not easy to not eat a piece of cake or a cookie. After about three months, I ate some pastry, and then I was off to the races. Eating that crap for like a month. I knew what I had to do was get back on track, and not eat those foods. Then I went online and I started researching Bulletproof. I got the book, and I read the book. I realized that it was a keto diet base, so then I went further into keto, and found all the health benefits of keto. I was so fascinated by it that I just dove into it. I know food is the answer, but keto is even more. I learned all the benefits of preventing cancer, weight loss, helping with autoimmune disease, and hormone balancing. All of that. I started doing that, and I loaded up on tons of fat. I think I was eating 200 grams of fat. I started seeking more information. I was online, and then I discovered you. You had some YouTube videos, and I just kept watching. One of them was on this woman, I think Ricki Heller is her name. I know it was about candida. That was the first time it was addressed to me that I was feeding my candida through being in ketosis. I was just mortified. I couldn’t believe it. I knew that was my problem, so I lowered my fat intake. You had mentioned something like taking 60 to 70 grams of fat, so I did that and things started to improve. Things were better. But I still was not 100% with my body. I ended up going to this integrative doctor. He checked my blood, and I found out I had low thyroid, hypothyroidism. I knew that was part of my problem of not feeling 100%. But I was eating well, so he was trying to fix me through food instead of giving me natural, desiccated thyroid to start with. But then I was listening to your podcast, and you had Elle Russ on, and she just came out with a paleo thyroid solution. That interested me because of my condition. I picked up that book, and found out all these things about my thyroid, and learning so much about it. That was like the piece of the puzzle for me, about why if I eat gluten and sugar, what happened to my thyroid, and why I would go back on to getting depressed and feeling lethargic, and getting chronic fatigue again. It just was so eye-opening to me. I went back to my doctor. I asked for natural desiccated thyroid. He put me on it, and I’ve been on that, along with doing my keto diet. I’ve also discovered during this process that I need carbs, with your help. I was working with Maria Emmerich at one point, and she’s strictly 20 grams or below carbs, and that just doesn’t work for me. I basically just got your Fat Fueled, and The Keto Beginning, and started learning how to cycle carbs and incorporate that in the evenings. That’s when everything started to really change for me. That’s pretty much where I’m at now. That was a long story. So, that’s where I am now. Leanne Vogel: That’s amazing. Such a journey. There are so many pieces to what you said. The first piece is, I’ll definitely include the links to the candida and keto video as well as Elle Russ’s podcast, because that podcast was one of my favorites. She is so knowledgeable when it comes to thyroid. I’ll include those in the show notes for everyone that’s wondering where they can get that information. Yeah. It was really interesting with keto and candida, the fact that ketones can actually be a fuel source for candida, so you really need to be careful. There’s not a lot of information out there. I think mine is probably the only video about it. Yeah. You don’t know. Sung Yun Cho: I’m looking forward to your book, because I know you’re going to have some stuff about that. You were the only one that I found on YouTube that really addressed that. Leanne Vogel: Yeah. It’s pretty scary. But it’s good. I’m happy that you ended up finding the video and could kind of piece it together. I want to rewind a couple of years, and get into … It must have been really frustrating not being able to work, being so fatigued that you really couldn’t even make choices for yourself. Now, you said that you had been an addict. Were you an addict at that time, or had already overcome that? Sung Yun Cho: Yeah. I stopped drinking in 2011. But I was still eating sugar and carbs. I wasn’t paying attention to my food. I just was focusing on being abstinent from alcohol and drugs. I was a year into that when I started cutting back on sugar, knowing that sugar wasn’t good for me. Then I started exercising and getting healthy, and it was at that point that I got bit by a tick and got Rocky Mountain. Leanne Vogel: How was that process for you? Because I know as a person who has a very addictive personality, and have struggled myself, I know that when the dark days come, the fresher the experience with being addicted to anything, the harder it is to get over that hump. What was that like for you, when you started feeling fatigue, you couldn’t work? How did you get over that, and not slide back into super negative patterns? Do you remember what was going through your mind at that time? Sung Yun Cho: Yeah. Luckily, I have a lot of friends. I have support. I just reached out. I asked for help, which is the key. If you ask for help, people help you. I just reached out. I knew that drinking wasn’t the answer for me. I just kept on going, and seeking, and looking for the solution. A friend of mine connected me to this woman who was suffering through recovering from Lyme’s disease. That’s very debilitating as well. There’s so many people that have Lyme’s disease, and they don’t even know it. My aunt had Lyme’s disease for 30 years, and had no idea. She had chronic fatigue, and dealing with arthritis, only to know 30 years later that she’s had Lyme’s disease this whole time. I was fortunate to get in touch with this woman, who then got me to the right doctor. Leanne Vogel: Yeah. It’s so important to ask for health. That’s wonderful. Now, looking at your 2010 self, versus right now, 2017 self, what would you say to your 2010 self, if you could just go back and hold her hand? What’s a message that you would maybe want to share with her. Sung Yun Cho: I’m going to get emotional. In 2010, it was really dark. I was at a point where I was so hopeless, and I was okay with dying. That’s how dark it got for me. I just kind of accepted that, because I’ve been battling depression all my life. Alcohol and drugs was my way of self-medicating. Without knowing this solution of food and abstinence. What I would say to that person now, is don’t give up. Just keep on going. It’s selfish to give up. There’s a beautiful person, and a smart person inside that has a lot to offer the world, and to family and friends. That’s what I know of myself today. But I did not know that in 2010. Leanne Vogel: Yeah. It’s really hard to see the clearing in the woods, really. Sung Yun Cho: Yeah, yeah. Leanne Vogel: When you found keto, so you started feeling better, what was your experience with adapting? You mentioned working with another health code, and that process not being good for you, or didn’t feel right. What was your experience to where you are right now with your ketogenic journey? Sung Yun Cho: I’m glad you asked that, because what I really appreciate about you, and your journey, is that you didn’t give up on it. You were trying to make it work because you knew keto was right, and I followed you on that. That was so encouraging for me, because I was struggling with the keto diet. I was trying to make it work, and I was like, “Why is it not working for me? Why am I feeling great some of the times, and then other times I’m feeling just weird? What is going on with me?” I didn’t want to give up. Then that’s when I discovered that my candida was flaring up. There was that mystery to solve. How am I going to eat high fat so that my ketones don’t feed the candida, but still able to be in some ketogenic state? It’s still very confusing to me. I think for a lot of people it is. I’m on your Facebook group, and I see those comments a lot. So, I just kept seeking, and finding out more information, and learning that I should eat some carbs, and at this point I have to eat about 80 to 100 grams of carbs at least, so that my candida doesn’t flare up. That’s for now. Just recently, actually, I discovered some fungus, or yeast, on my skin, and I know that’s a candida flare-up. That was frustrating to see, and so I have to increase my carbs even more. So, during this journey, and learning, I learned a lot. I got a lot of books. I listened to a lot of podcasts like yours, and a lot of YouTube videos, and just finding more information. Through that I got into health, and am so passionate about it. Friends of mine were like, “You should get into this.” I was helping a lot of my friends, too, on their journey on how to be healthy. People were encouraging me to go to nutrition school. So I ended up applying, and now I’m at Nutritional Therapy Association. That’s been helping me a lot, learning about my body and what’s going on when I incorporate sugar. I’m a couple of months into the school, but that’s been really helpful. So, yeah. All our bodies, I’m learning, everybody’s different. Nobody’s the same. Trying to figure out, and listening to your body is so important, and not having to follow one specific structure, and then thinking you failed at it. That was kind of my mentality at first, was like, “What’s wrong with me?” Instead of, “Hey, how could I actually make this work?” I found your books and your videos encouraging in that way, and I have to thank you for that. It helped me stay on this path instead of giving up, you know? Leanne Vogel: Yeah. That’s so beautiful. I’m so happy you found them, and that they could play a role, really, in you finding yourself and finding what works best for you. I think something that you said that I think everyone needs to hear again, is that just because you’re doing it differently, doesn’t mean that it’s wrong, I think especially in the ketogenic community. That’s something that I struggled with as well. If I’m not eating 20 grams of carbs, then I’m not keto. Keto can look different for so many bodies. You’re saying because of your candida, your carbs need to be different. Because of my adrenal stuff, and my thyroid, pretty much all the stuff, my keto needs to be different. But I’m still registering ketones. That’s interesting to see that your body can still maintain that state. I had a quick question about your carbs. Are you doing them as carb ups, or are you spreading them out, or what’s your strategy with candida and keto? I’m curious. Sung Yun Cho: Right now, because I got these big yeast patches on my body, and also my professor at school encouraged me that I need to eat more carbs right now, right now I’m daily eating about 80 to 100 grams. It’s mostly around night time. Sometimes during the day I will have gluten free bread that doesn’t have sugar or any weird stuff. That only has maybe three or four ingredients. But it’s mostly squash, sweet potato, that kind of carbs. Or beets and carrots. I’m eating that stuff right now and just focusing on treating my candida. I also came across … My mercury level is high, and I came across Andy Cutler’s Chelation Protocol. I don’t know if you are aware of that. It’s to reduce mercury. I’m fascinated by that, because my mercury levels have been high for a number of years. I’m learning that mercury and candida can go hand in hand. I think that’s going to be my next phase, is to focus on getting my mercury down while I’m also doing this candida protocol. Then I’m going to play around with going back to around 50 grams of carbs, and being in ketosis. My brain just really appreciates it. There’s nothing like being in ketosis. I don’t know right now if I’m registering any ketones, and that’s okay. I’ve stopped measuring my blood. I was doing that religiously for six to eight months, but since I’ve learned about this candida thing, I stopped doing that. Frankly, it’s quite expensive, and you encouraged me that I didn’t have to do that. I know when my ketones are running and when I am in ketosis. There’s a big difference. That’s where I am on this candida process. Leanne Vogel: It definitely is a process. My mercury, also, just a side note, was really, really high and I started taking vitamin C IVs. That was really great. Also, near infrared sauna. Those two coupled together, my mercury is now zero. It took me about three months. It was a walk in the park compared to what other people have said. I think, I’m pretty sure my mercury scored, like, a 21. It was pretty high. Sung Yun Cho: Wow. 21 out of, what was the range? Leanne Vogel: Well, the normal range is zero. You want it to be zero. Doctors will probably red flag it around five. So … pretty high. Yeah. Near infrared sauna goes a long way, as did the vitamin C, intravenously. Sung Yun Cho: How often did you do the vitamin C? I’m just curious. Leanne Vogel: Weekly. Weekly for three months. Definitely work with a health care practitioner on that one. It’s a little bit controversial, but it worked for me, so, hey. But yeah, really interesting. Also, it sounds like the confidence… you can hear the confidence in just listening to your body, and that’s such an empowering thing to tap into that power. I always say, your body wants to be healthy. It wants to be balanced, and it’s telling you what it needs. That might not be the quote unquote “perfect ketogenic diet.” That might be your ketogenic diet. For you, that is perfect. That is helping you get where you need to be. More on my interview with Sung Yun Cho after this message from one of our podcast partners. The podcast is sponsored by Manitoba Harvest, the hemp based food company. I love using their hemp hearts as an oat replacement in any oat based recipe, from porridge to oatmeal, cookies and everything in between. Hemp hearts are hemp seeds with the shells removed. They’re tender, fatty, zero grams of net carbs, rich in omegas, fiber and protein. Listeners of the podcast can get 15% off your Canadian or U.S. based Manitoba Harvest order by going to healthfulpursuit.com/hemp, and using the coupon code KETO. That’s KETO, all in caps, no spaces, for 15% off. This offer is valid until August 31, 2017. I know you’re going to love them. Leanne Vogel: Earlier we chatted a little bit about hormones. I know that hormones can play a pretty big role in overall mental health. What has been your experience, and you touched on it just a little bit, of when you’re in fat-burning mode, however that looks for you, your brain feels a lot more solid. What are the sorts of things that you notice with your brain when you’re not eating the foods that feel best for you? What are the signs, like, “Oops, I probably ate too much gluten-free bread” or whatever, that you kind of watch for? Sung Yun Cho: Yeah. I love that question. I’ve been battling depression most of my life, like I said, since I was a teenager. It just hit me then, real hard. I wish I knew then what I know now about food, because when I look back, what I ate growing up was lots of bread, lots of sugar, and I would binge on a loaf of bread, and then I would feel like I want to die the next day. I had no idea those two went hand in hand for me. For years, this went on. In college, I was battling depression severely, and also chronic fatigue, and I ended up going to a nutritionist. She was the one that back then diagnosed me with overgrowth of yeast, and this is years ago, and put me on a 90-day protocol then, which was no dairy, no sugar, and no white flour. There was no word “gluten” back then. It was just white flour then. As a result of that, I was on fire. I was so recharged. I wasn’t depressed anymore. Things were incredible. That was a brief stint then. Then fast forward years of living in New York City, partying really hard, eating whatever I want, greasy foods, hungover, or sometimes eating just one meal a day. No wonder my thyroid got really low. That, coupled with adrenal fatigue, as well, brought my … my hormone levels were just all wacky, and the depression was just ongoing, until … getting Rocky Mountain, for me, was like a blessing in disguise. I used to be angry about getting that, but I’m so glad I did, because it got me where I am today, which is focusing on eating this way. When I don’t, if I mess up, or I’m human and I, for some reason, want to have some soy sauce somewhere with some Chinese food, and I end up slipping and I do it, it happens in three days. This mental fog comes in. Then I just crash. It’s so weird. Now what I know is that my thyroid is being affected. I had no idea until recently that’s what was going on. I would just start to cry, and fall into depression. It’s very strange how nothing would have changed in my life, nothing, and after eating some gluten, I go right into that state of being. It’s wild. That’s the long answer to your question, there. It wasn’t until that point that I realized just how much that refined sugar affects my brain. I was so unkind to him. Yeah. There’s so much more than just, “Oh, you know, my stomach hurt,” or, “I got a little bit of acne.” It’s being unkind to the person that is so loving and supportive is not what I choose to do. Sung Yun Cho: Knowing what I know, that’s a great question. Sometimes you have this built-in forgetter, what the consequences are, and you don’t run that tape of, “You know what? Three days from now I may not get out of bed.” Sometimes I’m at a party, or I’m with a group of friends and we’re out to dinner, and I just want to eat that, you know? Sometimes it just goes through it. I know this is going to happen, and I just have to be prepared. Now I carry around activated charcoal, and if I do go down that path I will make sure to take that. I have other supplements to take, or detox teas, but I do have to say, though, at this point, knowing what I know now about my thyroid, and I’m going through thyroid healing through natural desiccated thyroid and diet, I’m absolutely strict about not having gluten and refined sugar now. I don’t even want to play around with it, because I know how it’s affecting my body. Learning about my thyroid was the piece of the puzzle for me, for this whole journey of my health. I’m just absolutely strict about it. I plan on not going off of it. This whole year I want to just focus on fixing my gut, getting rid of the candida, because if I do eat gluten or sugar, I’m igniting my candida as well. That’s a whole other thing. Besides my mental state, my body gets affected, and my gut starts to get inflamed again. It’s a mess, and it’s just not worth it at this point to get off of it, knowing what I know now. But, a couple months ago, I just sometimes … You just want to have that cookie, or you want that pizza and then you go for it, and then you’re just back to square one. Leanne Vogel: Yeah. I think the consciousness is really important. This time last year, I had a really hard time not … I wouldn’t say it’s control, because control always feels really restrictive to me, but when I would decide, “Oh, I’m just going to have that x,y,z,” I would kind of numb myself out, to disassociate myself from the experience. So I wouldn’t feel guilty, I wouldn’t really remember it the next day. But there’s such a shame in that, because oftentimes that comes from a space of emotional eating, and I really believe that emotional eating is okay. There’s a time and a place for emotional eating. Really, when I am sitting there with my dad and the candies, I enjoyed every little last piece of that. I tasted everything, I enjoyed my dad’s conversation, and we were talking and laughing, and I really tried to soak up that experience and make it so that there was no guilt around it, and being conscious to the fact that I probably wasn’t going to feel good the next day, and that was okay. It sounds like that’s something that you’re experiencing, too. After having x,y,z taking the charcoal and being okay with it. Life goes on. If you think of your life as the snakes and ladders game … I might be dating myself, because I don’t think this game exists anymore … There was only one ladder that took you to the very, very beginning, and it was very rare that you would go all the way back to square one. I imagine it being very much like you’re going along, and the ladder takes you up, the snake takes you down, but it’s very rare that you’re going to start right back at the beginning. Sung Yun Cho: Yeah. Yeah. It’s like the stock market. You can only go up, but you’re going to have lows and you’re going to have highs. It comes up and down. That’s how this food journey and health journey has been for me. But in terms of the emotional eating, at this point I switch to paleo sometimes, and if I want to indulge and have that treat or whatever, I’ll go towards a paleo treat where it’s made with coconut sugar, and it doesn’t have gluten. It still sometimes affects me if I have too much of it, but I am aware of that now. That’s how I go off of this keto diet thing, is go for a paleo treat. I think paleo treats are so delicious. I don’t miss eating a regular chocolate chip cookie, or a regular piece of cake. You can find some amazing paleo stuff, and still not get so off-track, too. That’s my strategy these days. If I want something like that I go for a paleo dessert. Leanne Vogel: Brilliant, because it’ll make you feel a lot better the next day, physically. Totally understand. This show is sponsored by paleovalley. You guys know how much I love supplements. This time last year, I was taking over 50 supplements a day, and it was excessive. The first step to overcoming a problem is knowing you have one in the first place, I will admit. Over the last year, I’ve toned down on my supplement intake substantially. I’m down to below 20 a day, and I’m super proud of it. One of the reasons I was comfortable letting certain supplements go is by taking a whole food based, ultra-primal, super nourishing Organ Complex from paleovalley. Now, these guys just went out with this. I’ve actually been taking it for quite some time, but couldn’t share it with you until it was live to the public. So this Organ Complex from paleovalley is a mega nutrient dense super supplement. The nutrients in just one daily dose read like the best multiple vitamin out there, and it’s a whole food. There’s vitamins A, B12, B6, B5, B2 and 3, CoQ10, folic acid, iron, selenium, phosphorous, and zinc. Copper, omega 3 fatty acids, EPA and DHA, phosphorous and the list goes on. The Organ Complex is a combination of beef liver, heart, brain and kidney, all sourced from 100% grass-fed and finished beef organs, which are non GMO, and never given antibiotics, steroids, hormones or grains. The capsules are 100% pure, with no filler or flow agents, gluten, grain, soy or dairy. You can go to paleovalley.com/hp to receive an instant 20% off your order of the new paleovalley Organ Complex. Again, that’s paleovalley.com/hp to receive your instant 20% off. Leanne Vogel: Are there any other tips or tools that you have for listeners that maybe those struggling with mental health or depression can maybe seek outside of nutrition? And things that have been helpful for you? Sung Yun Cho: Yeah. I meditate. That’s a big part of my journey, and that helps me stay on this path and be mindful of what I’m doing with my body, because if I’m meditating … And journaling, as well. That’s been very helpful. It’s all one for me. And exercise. Exercise is a big thing in terms of mental health. Life is not easy. It throws lots of curve balls. Recently I’ve been going through a breakup, which has been devastating for me. But thank god I’m not binging on pints of ice cream or donuts, which is what I did in the past. I think that if I were doing that now you’d probably find me in the psych ward. Fortunately I’m not doing that, and that’s why I still have my emotions, and I can still be really down, and go through a depression that is part of life, but I am able to get out of it much quicker now because I am eating good things. I know, for me, food is medicine. That’s my mental health medicine, too. If I’m eating a salad, I know I’m going to feel better three hours from then. That’s just been my solution with that. I’ve experienced being on anti-depressants in the past, but I didn’t like it. I didn’t like what it did to my body. I felt like I was on drugs, being on anti-depressants. So I just decided to get off that. I know that people choose to do that, and everybody has their opinions on that, and that’s fine. But it’s been my experience that I don’t need to do that, even though I was diagnosed as bipolar. I was diagnosed bipolar one day. In fact, all I was doing was eating pints of ice cream, and my emotional state was so bipolar because of that, because of sugar. I just chose the food route. For me, it works. It really works. I think it’s so disappointing how this medical world that we live in goes right to popping a pill for a solution, when have you tried eating the right way first, before you do that? I’m sure there are needs for that as well, but what’s the first protocol? Fixing your gut. Serotonin is in the gut. That’s where it is. So many of us have digestive issues, and grew up eating loads of sugar, because that is the diet. We’re forced that mentality of eating this way. The whole low-fat craze that we were in I think really has done a number on our mental state. Growing up that way, eating low-fat and eating loads of sugar, no wonder we’re all depressed. Just focus on food as being medicine, and that your body is a temple, and we’re here for a reason. I’m a better person when I’m eating well. I’m able to be of service more. That’s my other source of happiness, is helping others and doing something where I’m getting out of myself. Service really is the key to happiness. There’s been research on that. Service makes people happy. That’s my answer to that. And just keep going. Don’t give up, and just keep seeking. Keep searching, looking for the answers. The answers will be there when you keep searching, and that’s been my journey, for me. I don’t give up, and I just keep going. You find what works for you. Leanne Vogel: Yeah. Beautifully said. Thank you so much for opening up to us and sharing your story. Where can people find more from you? So I’ve been helping a lot of people. That’s why I started this blog, is to like put it all on this website and just educate people on food and health. My site is cleanfoodlonglife.com. You can find me there. Yeah. Leanne Vogel: Beautiful. I’ll be sure to include your link in the podcast notes for this week, which everyone can find at healthfulpursuit.com/podcast/e34. The transcript is added to the post about three to five days following the initial air date of this episode. Sung, thank you so much for coming on the show today. Thank you. Sung Yun Cho: Oh, you’re so welcome. Thank you, Leanne, for everything. I really, really appreciate what you’ve done and how much you’ve helped me. I know how much you’re helping other women, and I think it’s so incredible, what you’re doing. So thank you so much. Leanne Vogel: My heart is so warm. Thank you for filling it up today. Leanne Vogel: That does it for another episode of The Keto Diet podcast. Thanks for listening in. You can follow me on Instagram by searching “Healthful Pursuit,” where you’ll find daily keto eats and other fun things. Check out all of my keto-supportive programs, bundles, guides and other cool things over at healthfulpursuit.com/shop, and I’ll see you next Sunday.